Abu Dhabi, UAE – 12 January 2019: The Emirates Nuclear Energy Corporation (ENEC) and its subsidiaries, Nawah Energy Company and Barakah One Company, celebrated the third edition of its Barakah Excellence Awards with a special ceremony held at ENEC's headquarters in Abu Dhabi. During the ceremony, this year's award-winning employees were announced. The Barakah Excellence Awards are an internal recognition program inspired by Abu Dhabi Awards for Excellence in Government Performance (ADAEP), which was launched in 2014. 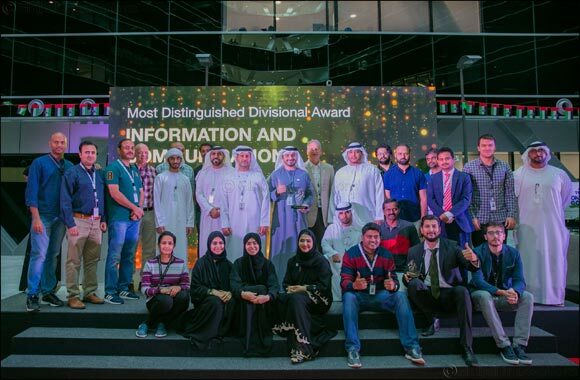 The Awards form a part of ENEC's continuous efforts to inspire excellence in performance at all levels and across all divisions of ENEC and its subsidiaries and show appreciation for outstanding employees. “Pursuing excellence is a journey that never ends; it is not a destination, and we have been inspired by the UAE's visionary leadership to incorporate excellence across every division of our organizations. We are promoting and applying excellence concepts according to national and international best practices as we strive to generate clean, efficient, and reliable energy to power the future growth and prosperity of the UAE,” added Al Hammadi.